Cohort studies started from pregnancy or childhood give the unique opportunity to relate early-life stressors with variation in development, health and disease throughout the life course. Moreover, advanced analytical approaches used in observational studies can help identify causality and potential for early-life interventions on factors that cannot be easily studied in experimental settings. These factors include socioeconomic circumstances, migration, urban environment as well as lifestyle-related determinants and will be given particular focus in our project. We will set up a European pregnancy and childhood cohort, the EU Child Cohort Network, which brings together extensive existing data from more than 250,000 European children and their parents. These cohorts enable studies in multiple generations because of their detailed phenotyping of both parents and children. The network will bring together existing successful multidisciplinary cohort studies, which all started before or during pregnancy or in childhood. Together, they span the full life course and contain detailed phenotypical information as well as biological samples. The EU Child Cohort Network will optimize exploitation of more than 40 available cohort resources in Europe and will enable innovative research on identification of novel markers of early-life stressors related to health trajectories throughout the full life cycle. 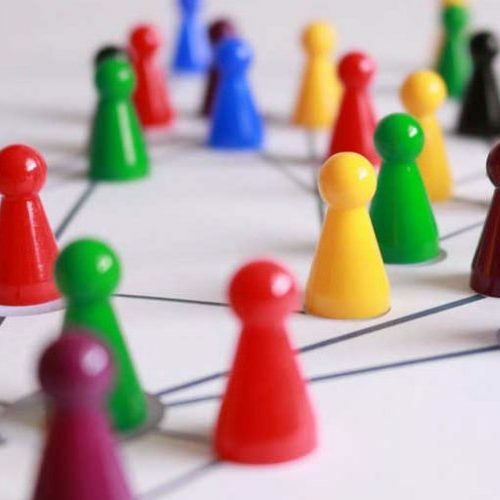 Although LifeCycle partners and their cohorts have taken the initiative for this unique collaboration, the network is open to other partners with population-based cohorts started in early life, specifically those from Eastern and Southern Europe. 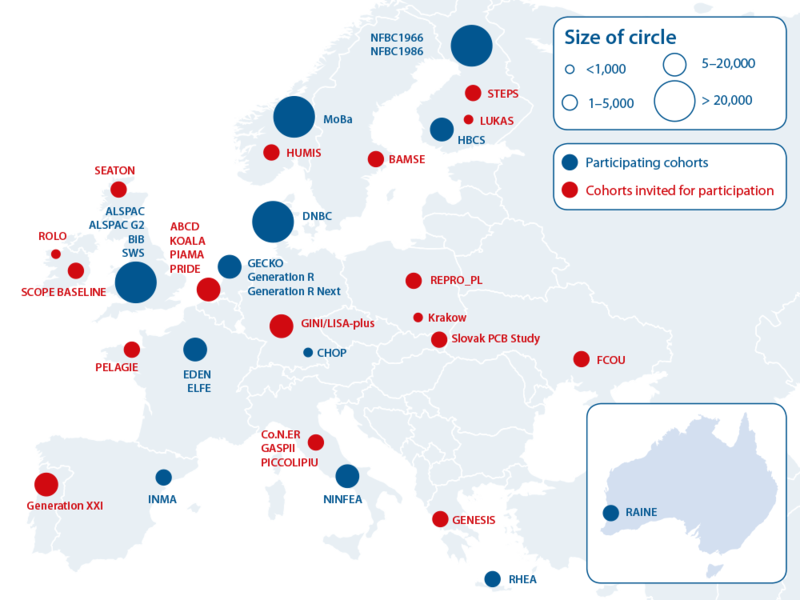 To ensure that this will be a Europe-wide, open and sustainable network, which exceeds the LifeCycle Project duration, we will introduce a data sharing platform taking account of ethical, legal and societal implications, we will organize yearly meetings open to all European pregnancy and child cohort researchers and we will start a fellowship programme for exchange between these European cohorts. Concept 1: Exposure during early life to an integrated set of dynamic stressors differs between European populations and individuals and is related to health and disease trajectories across the life cycle. 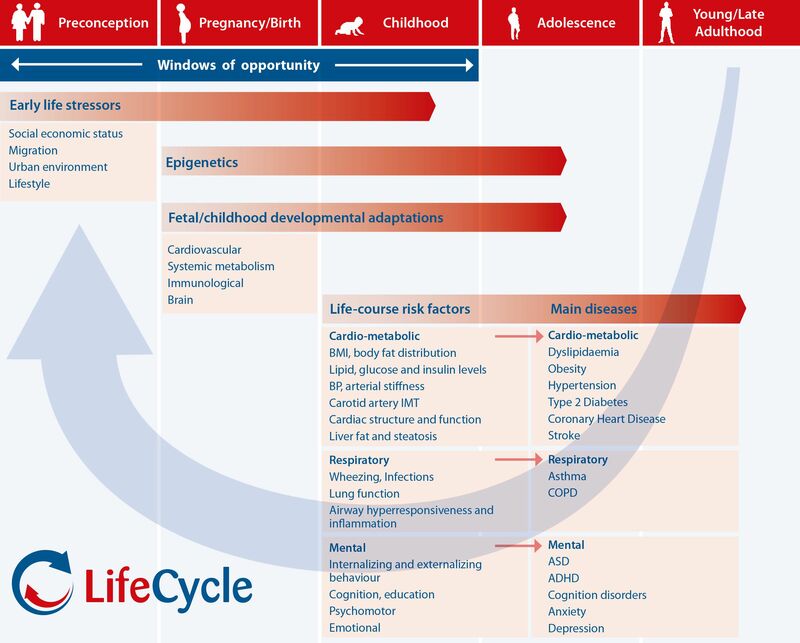 LifeCycle partners have successfully identified environmental stressors in early life associated with NCDs in various stages across the life cycle. More specifically, early-life stressors, including socioeconomic, migration, urban environment and lifestyle-related factors seem to be related to cardio-metabolic, respiratory and mental disease, which together contribute strongly to the global burden of NCDs. Evidence suggests that exposure to these factors during fetal life and childhood affects later life health trajectories. Pioneering research from LifeCycle partners further suggests that instead of exposure to single stressors that individually may have weak effects, exposure to a cluster or pattern of adverse early-life stressors in specific age windows is more likely to influence health during the life cycle. We will specifically develop a holistic ‘early-life exposome ’ model to encompass many human environmental exposures. Concept 2: Studies on preconception, fetal and early childhood stressors, developmental adaptations and subsequent life cycle trajectories will give insight into the earliest origins of NCDs . Studies from LifeCycle partners strongly suggest that NCDs have their foundation in fetal life or early childhood and have also shown that specifically maternal lifestyle factors and fetal growth variation in early pregnancy are related to NCDs. It is still not known whether exposure to adverse stressors during specific isolated periods or during combinations of more critical periods, or just the cumulative exposures across the full life cycle leads to NCDs in later life. We will use repeatedly measured exposure, mediator and outcome data from the EU Child Cohort Network to compare different potential life course models including those assuming specific critical periods and those assuming interactive and cumulative effects throughout the life course. The EU Child Cohort Network enables life cycle trajectory analyses on NCDs, taking into account the stability and change over time and the clustering of risk factors and diseases in relation to specific early-life stressors. Concept 3: Functional DNA methylation changes may mediate the associations of exposure to early-life stressors with health trajectories during the life cycle. An accumulating body of evidence suggests that epigenetics may play a key role in the associations of early-life stressors and life cycle health and disease trajectories. Specifically, DNA methylation , the most frequently studied epigenetic phenomenon in large populations, is a dynamic process, which can be influenced by environmental stressors. Recently, LifeCycle partners have identified DNA methylation markers related to specific potential early-life stressors including maternal body mass index, smoking and dietary factors. However, not much is known about DNA methylation markers related to integrated indicators of socioeconomic, migration, urban environment and lifestyle-related factors or the early-life exposome. We will take advantage of the large sample sizes available within the EU Child Cohort Network in order to discover yet unknown mechanisms leading to development of NCDs in later life. Concept 4: Novel markers of early-life stressors will contribute to policy recommendations for stratified and personalized prevention strategies for young children as well as women before and during pregnancy. While the concept that early life is critical for health and disease throughout the life course is well-acknowledged, these research findings have not been translated to clear policy strategies. Due to the lack of large sample sizes it is not yet known whether and which early-life stressors can also predict risk factors for NCDs. Thanks to the richness and variation of data on early-life stressors and life course trajectories of risk factors for NCDs, the EU Child Cohort Network is the ideal platform to develop models to predict from early-life stressor data the onset of risk factors for cardio-metabolic, respiratory and mental disease across the life cycle.